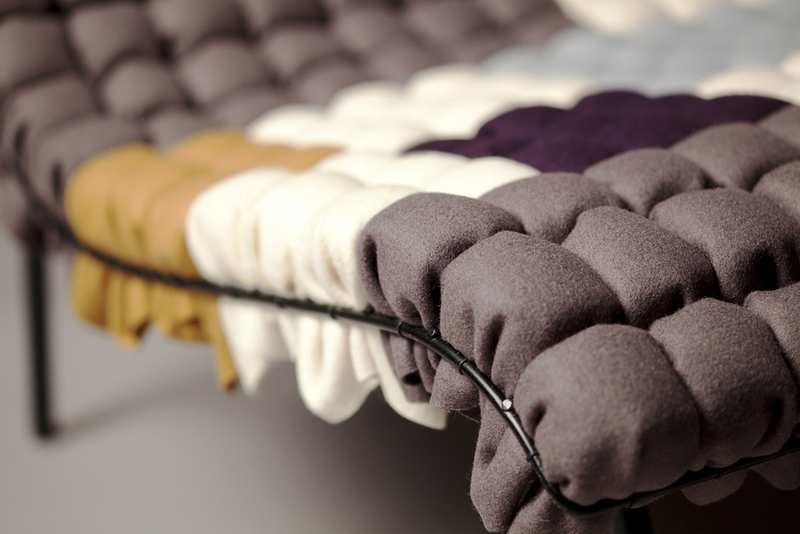 Project: Upholstery project at The Royal Danish Academy of Fine Arts- School of Design. MOSAIIK is a lounge chair where a metal grid makes up the construction of the shell. The grid also serves as a framework for the upholstering. 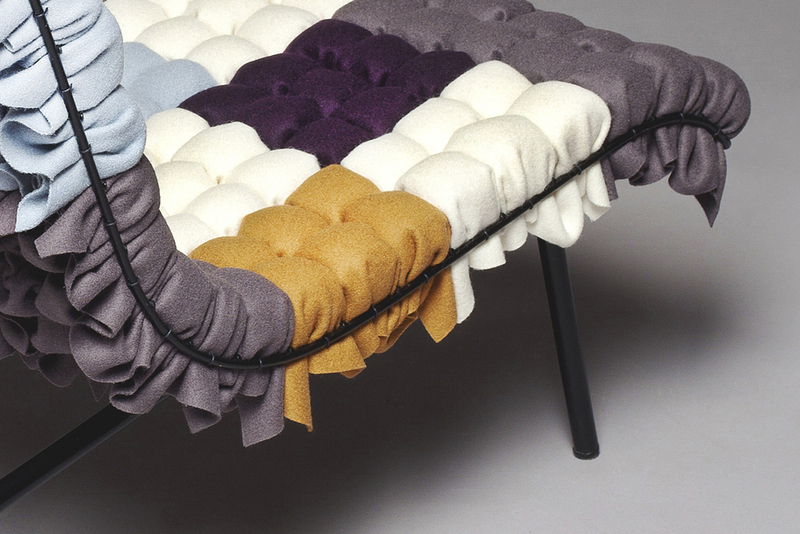 Inspired by the structure of corncobs and sunflower buds the upholstery is made up of 294 foam cubes. The cubes are spread and packed with the curving of the seat. The wool covered cubes are pressed through the metal grid, creating a smooth surface on top and a rough surface in the back. By leaving the back uncovered, the user can experience the different structures created by the upholstering technique and also gain an understanding of how the seat is constructed.